Cast your mind back to late July, 2015. It was the month a then 22-year-old Irish amateur from Greystones announced himself to the world on the biggest stage of them all, The Open Championship, at the Home of Golf. Leading after 54 holes, Dunne may have dropped off the pace and finished that week in a tie for 30th as Zach Johnson claimed the Claret Jug, but he earned something money can’t buy, experience. Dunne was long-fancied to be one of Ireland’s golfing stars of the future, turning heads with a stellar amateur career and a scholarship to the University of Alabama to boot. A US College Golfer of the Year title, a quarter-final appearance at the US Amateur and a degree in business finance later, he was making a name for himself stateside too. Then came the Open Championship and two months later, the Walker Cup. In a team containing five Irish players, the GB&I squad outclassed their US counterparts, winning 16 and a half to nine and a half, while Dunne capped off his amateur career by holing the winning putt. The professional ranks soon called and his first test was European Tour Q School. He breezed through Stage One and then came through a six-man playoff for two places at his Second Stage qualifier. He eventually finished the gruelling 6-day examination of Final Stage in a tie for 13th, claiming a prized 2016 European Tour card. Progression was coming thick and fast for the 22-year-old and in his Rookie Year on Tour, the Greystones native competed in 21 events. Dunne may have struggled slightly through the middle of the season, missing nine cuts, but when required, he displayed his ability to produce under pressure. Back at St Andrews, he banished any bad memories from his Open Championship final round, earning his biggest cheque of the season at his penultimate event, The Alfred Dunhill Championship. Dunne’s career is the epitome of an upward curve trending nicely, a tale of steady progression without ever getting lost in the next step along the way. He acknowledges that for some, setting a life goal and working backwards might be a blueprint to achieve such aims, but Paul has lived his life in the present, refusing to get distracted by the multiple doors being opened through his amateur exploits. Listening to him speak so maturely, it’s no wonder Dunne’s transition to the professional circuit proved so seamless. It’s no secret that working under the GUI banner and through Team Ireland commitments, these guys are prepared at an early age for a life beyond the amateur game. Still, being overwhelmed could be excused when entering such illustrious company. Professional golf at this level doesn’t afford a player the luxury of time to get comfortable. Rather, experience is gained at the deep end and either you sink or you swim. Although he had played many tournaments where he was in around the lead, Dunne points to Morocco as his first real taste of getting in contention – a true watershed moment that has stood to him ever since. And so it came to pass – Dunne, having soaked up the experience of his Moroccan near miss, was ruthless when the opportunity arose once more. Fortunately for Dunne his performances last season meant such feelings were scarce, and when victory presented itself at the British Masters, he grasped it with both hands. He duly delivered, birdieing the first, fourth and fifth holes before dropping a bomb, an eagle at the par-5 sixth – did the game plan change? Whereas doors may have opened that he ignored through his amateur years, a maiden European Tour title at such a prestigious event was always going to be a game changer. A trip to China beckoned for a first crack at a World Golf Championship, as Dunne’s schedule turned on its head. Indeed the contrast in terms of scheduling between his Rookie Year and that of 2017 is a stark reminder of just how far Dunne has come in such a small space of time. From his Rookie existence as an ‘On-Call golfer’, never sure where the next event would arise, to a schedule brimming with exciting opportunities the year after, Dunne acknowledges this balancing act as one of the key aspects to continuing his rise through the sport. Dunne’s breakthrough season puts him on the cusp of even bigger scheduling headaches in 2018, with the top-50 in the world a real possibility should he start fast next year – something he hasn’t overlooked. 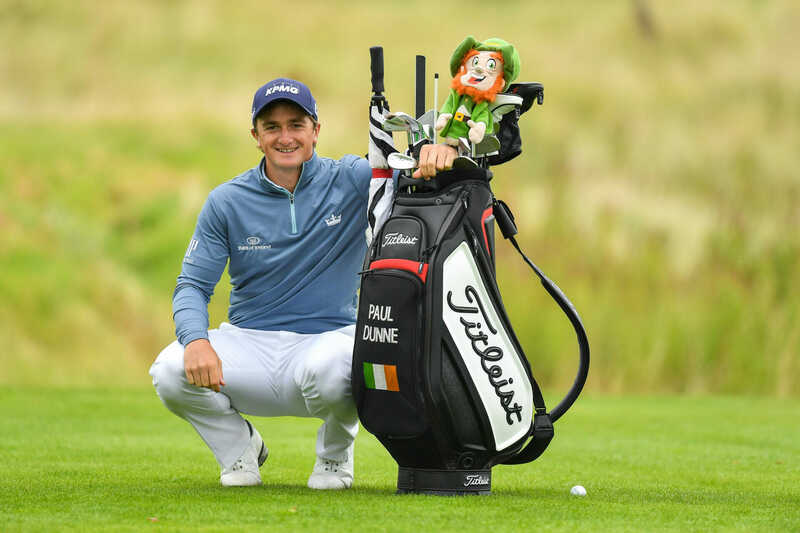 Dunne’s rise has been aided by some sound advice from compatriots Padraig Harrington and Shane Lowry, who know all too well of the challenges that come with juggling schedules on both sides of the Atlantic. Thankfully that advice shouldn’t be a problem to adhere to. With the Ryder Cup in 2018 an achievable target as things stand for Dunne, who is in the European Team to compete at the EurAsia Cup, opportunities to impress and win on European soil have simplified his outlook. Dunne has entered an era of lucrative opportunity on the European Tour, with the establishment of the Rolex Series encouraging more players to compete on Continental shores. And although the increased prize pots are welcomed, the fledgling pro recognises the difficulty such events pose to young up and comers trying to maintain status on Tour. Much was made of a lack of amateur involvement in this season’s Rolex events and it felt wrong to let the chance to ask Paul slip by regarding their contentious omissions. Spoken like a seasoned campaigner, Dunne has come out of his shell in recent times. From a softly spoken amateur embarking on an intimidating but exciting journey, he may still be quiet, but he speaks with a new found authority. Have the events of this past year forced a change, or is Dunne still the boy from Greystones coming to terms with an ever growing spotlight? If there was one particular moment of recognition that sticks out for Dunne, however, it was a very meaningful letter from a certain larger than life President. No not Trump, someone much more important. As is Dunne, but sitting down chatting to Paul, you can really feel the level of respect and appreciation he feels towards fellow Irish sports people. He has already adopted many of the same attributes you’d associate with Harrington, most notably his mental strength and total belief in his own ability. 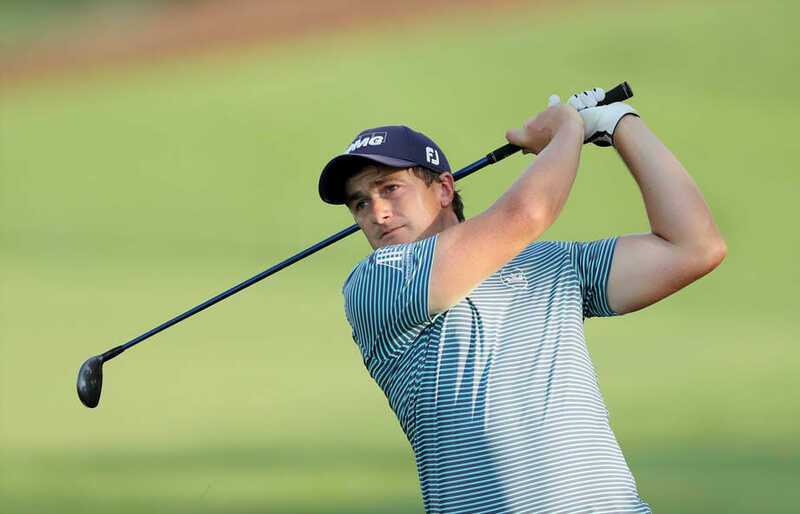 He may have just finished inside the top-20 of last year’s Race to Dubai, and claimed his first career title in 2017, but Dunne, like Harrington, remains a pupil of the game, constantly evolving and looking to improve. A student who loves the hard work and graft it takes to become a top player, like Padraig, Dunne will often be seen as the last one leaving the range at night, not necessarily looking for a fix but more often trying to maintain something he has found. Trying to engrain a feeling or a movement into his muscle memory, the constant chase for perfection. To end our chat, I asked Paul what’s his favourite thing about being a professional golfer. He gave me two answers, and I might as well have been speaking to Padraig himself, such was the level of enthusiasm and passion he exuded. If Dunne continues on the steep curve of progression he has shown to date, the sky really is the limit for the young Greystones man. For now though, he can enjoy a well-earned rest, knowing he has the game to mix it with the very best in 2018. If you have followed Paul over the past year you will no doubt have seen Larry on his driver. 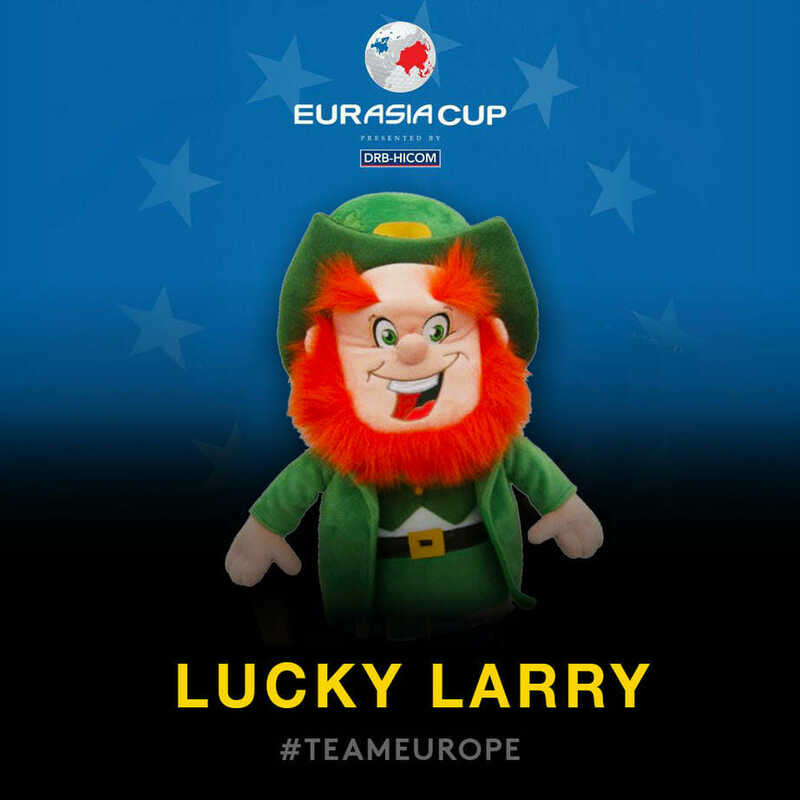 We had to ask, where did Lucky Larry come from. ?? I was in Dubai last year doing some pre-season practice with Gavin Moynihan and Gary Hurley. We were heading out at the Emirates Club for nine holes under floodlights and I saw Larry for sale over in the corner of the pro-shop. I had to get him. Darren my caddie loved him and Larry became the star of Darren’s social media posts. It’s a bit of fun. 2017 Larry is retired now after travelling the world and I have a new Larry for 2018. I have put 2017 Larry on a shelf at home and will hopefully end up with a freaky room full of Leprechaun head covers in years to come.